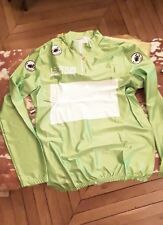 Castelli Long Sleeve Jersey XXL. Condition is Used. In perfect condition. Please check my other items as I’m having a clear up! Lot 6 maillots CASTELLI Tour de France vintage 1994 (Tour de l’avenir) neufs. SMALL MARK ON THE FRONT BUT LOOKS LIKE IT WOULD CLEAN OFF. HANDFUL OF VERY SMALL PIN HOLES ON JERSEY (PIC'S). Modèle ELEGANTE - Blanc/Orange Fluo. Réfléchissant arrière. 3 poches au dos;. Mens Castelli Bib Shorts - Large. These shorts have a red trim at the leg that can be turned up to show a red band or down for all back. Shipped with USPS First Class Package. Caratteristiche aggiuntive TASCHE SUL RETRO. EAN Non applicabile. Tipo Maglie e Body. Materiale 100% POLIESTERE. Colore principale GIALLO. Pour < span class = « notranslate » > SAVE < span class = « notranslate » > sur < span class = « notranslate » > expédition. Tour de France. Pas d'accroc, de tache ou de fils tirés. état :Trés bon. ENSEMBLE CUISSARD LONG + VESTE WINDSTOPPER CASTELLI TAILLE M ABSOLUMENT NEUFS ! VESTE WINDSTOPPER MODELE TRASPARENTE AVEC ZIPP AERATION AVANT ET 3 POCHES AU DOS. Cervelo Test team 2009 race jersey short sleeve. CUISSARD HIVER CASTELLI DAME LONG SANS BRETELLES TAILLE S ABSOLUMENT NEUF ! JAMAIS SERVI ! TAILLE : S.
Screen printed, hand decorated and kiln fired for an excellent finish; this Mont Ventoux Espresso Cup vibrant colours and subtle styling. 8cl (around 80ml) espresso cup and saucer. VESTE HIVER CASTELLI TRASPARENTE WINDSTOPPER DAME TAILLE M ABSOLUMENT NEUVE ! Castelli Retro Cycling Cap with Green White and Red Italy Tricolor Stripes. Condition is Used. Dispatched with Royal Mail 2nd Class.